Chris Morris, head distiller for Woodford Reserve, has been sounding a lot like Sean Connery lately with Woodford Reserve’s new Distillery Series. 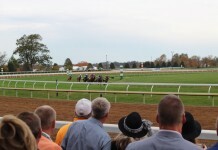 Morris has long and emphatically stated that he will not, under any condition, repeat the work he’s done in his Woodford Reserve’s Annual Master’s Collection. To this point, Chris Morris has been good to his word. While the experimentations in the Master’s Collection have been the inspiration for products like Woodford’s Double Oaked Whiskey, he hasn’t repeated releases from the Master’s Collection… until now. 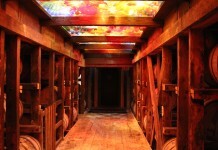 When it comes to the American Whiskey market, you simply “never say never”. This new Woodford Reserve Distillery Series gets its initial release at the Woodford Reserve Distillery, one of the most bucolic distilleries in America, in 375 ml bottles at $50 a bottle (the equivalent of $100 per 750ml, which is a fairly expensive souvenir), but likely will find wider release as whiskey enthusiasts revel in the return of some of their favorites. 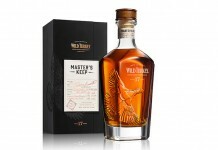 Woodford Reserve Distillery Series Sweet Mash Redux Kentucky Straight Bourbon Whiskey (45.2% ABV, $50 per 375 ml) – Of the two releases, this one is perhaps the most egregious backpedal from Chris Morris’ “you’ll never see us release these again” statement. Sweet Mash Redux is an absolute direct repeat of the 2008 Master’s Collection release. It was one of the more popular installments and so it’s not surprising to see it make a return here in the Distillery Series. Medium amber in color, the nose on this sweet mash redux is extremely expressive with oak, cherry, cinnamon, and vanilla. It’s a richer, oakier and slighty sharper nose than the traditional Woodford Reserve. As with the nose, the entry is effusive with its flavors with oak, cherry, caramel, and orange all bursting right out of the gate. The midpalate is quite spicy with deep cinnamon, oak, and clove, and supported nicely by the deep cherry introduced in the entry. The midpalate has a slightly acidic quality to it, as well as a solid dash of heat. Even though this release is at the same ABV as traditional Woodford’s Reserve, it comes off much stronger at this proof and could easily be mistaken for cask strength. The finish is long and spicy, with the acidity from the midpalate there more clearly as citrus. The heat from the midpalate also persists in the finish, which showcases black pepper and oak. Woodford Reserve typically uses a sour mash process with their whiskey (which means using some of the previous mash in the following batch). Sweet mash means they omit this part of the process, ultimately giving the whiskey a slightly different character. Another major element is that the final Woodford Reserve product is a blend of whiskey produced at Woodford Reserve on their scotch-like copper pot stills and whiskey produced in Louisville at the Old Forrester distillery where they use a more traditional column still. We are assuming that all the liquid in the “Distillery Series” actually comes from the distillery, which honestly, even if it wasn’t modified in any way, would be reason enough to pick up a bottle. 92 points. Woodford Reserve Distillery Series Double Double Oaked Kentucky Straight Bourbon Whiskey (45.2% ABV, $50 per 375 ml) – Woodford has taken their Double Oaked Whiskey (which is basically Woodford Reserve) and finished it in a heavily toasted new oak barrel. The Double Double (can’t say this without thinking about In ‘N Out Burger) Oaked takes their existing product and lets it mature for an additional year in the toasted oak finishing barrel. It sounds like a gimmick, but the results are anything but. Dark amber in color, as you’d expect oak is the star player of the nose. The oak here is less assertive than expected, and there’s a sense that the whiskey has had an opportunity to really digest the oak. Here the oak reads more weathered and varnished than sharp and fresh cut. The nose also features some nice dark brown sugar notes as well as some fig. Underneath all this is a bit of a bite, with a touch of acidity and cinnamon spice – that core whiskey showing that it’s still very much alive in the mix with the oak. As with the nose, the entry is much more understated than expected. The deep oak notes are there, but they’re reserved and mellowed. This old oak is backed by the deep brown sugar from the nose and a lovely mouthfeel, all combining to make an enticing entry. The intensity of flavor ramps up as we move to the midpalate. All that wonderful weathered oak intermingles with some of Woodford’s classic flavor notes including cherry, orange, and cinnamon and joined by brown sugar and fig. The integration of flavors in the midpalate is exceptional and the balance between oak and the other flavors is right on point. Towards the end of the midpalate the cinnamon spice increases and we get a solid dash of heat. This drives a finish that is slightly dry and, again, less oaky than we’d expect. 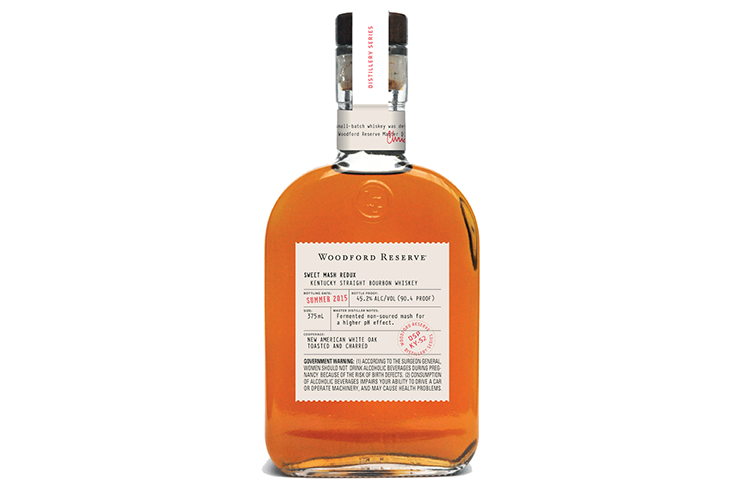 Although the Woodford Reserve Double Double Oaked isn’t a very old whiskey (like Diageo’s 21 year old Rhetoric Orphan Barrel release), it does an excellent job of showing how the relationship between a spirit and a barrel can mature and progress. This whiskey has had ample opportunity to really digest the oak aging, and while the oak is very much a part of the core character, the base spirit is still very present and integrated. 94 points. Chris Morris may have been dragged kicking and screaming into a redux of some of his Master’s Series, but like Sean Connery’s return to Bond, it’s the fans who are really the winners. The only real exception we have about these whiskeys is the price, however the whiskey in these bottles does deliver, and for fans of Woodford they’re simply too good to pass up, even at high prices.